I have been curious about gel manicures for a while... The beautiful, glossy finish, the long wear, the potential for all kinds of simple or intricate nail looks. But the expense of gathering up all of the stuff I would need and knowing that removing gel polish from my somewhat fragile nails could wreak havoc on them has held me back from exploring gel polish. Until now. I received the Butter London PureCure™ Peel the Love Gel Manicure System, $69.00 available from Butter London to try. This LED lamp cured gel manicure system is so easy to use and in spite of my initial hesitation, I found myself getting the hang of it, really quickly. 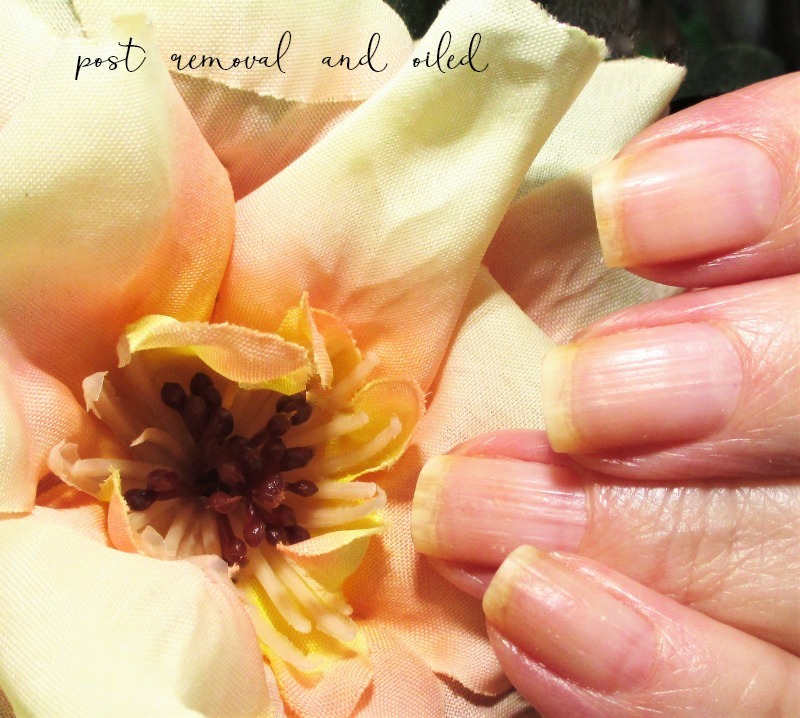 Easy gentle peel off removal - no soaking in acetone required! The LED light automatically set for 60 seconds. Convenient hand sensor, manual on/off button and power cord. To get started, just unpack the box, insert the power cord jack into the port in the back of the lamp and plug it in. Have your base/top coat and gel lacquer ready, as well as a nail file (I don't use the included file, I use my crystal file) and the included nail scrubbers wipes or cotton pads and acetone, either do the job, equally. I also make sure to have my cleanup brush and little dish of acetone ready to spring into action because let's get real, as hard as I try, I have always been and always will be a sloppy polisher. I'm not going to bore you with the complete, step by step how to; that is all covered in the instruction booklet and it's super easy to follow. In the process of playing with this kit, I have learned a few good tricks that I will share and you may find helpful. 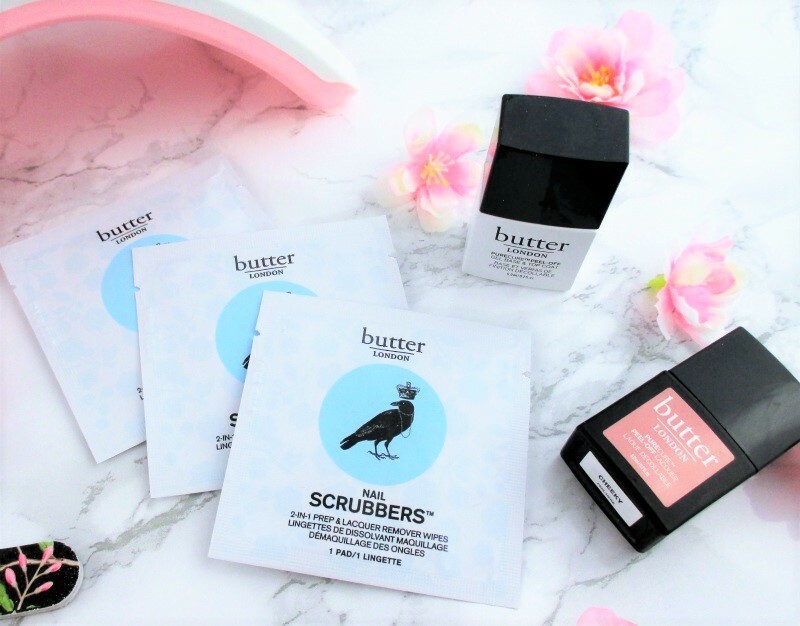 First, the Scrubbers packets are nice to have on hand but they aren't a necessity. My usual cotton rounds and good old acetone does their job, just fine. 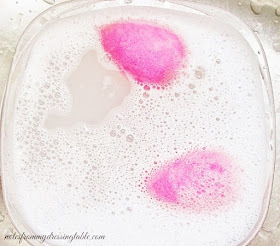 I think that I'm going to toss my remaining Scrubbers packets into my travel beauty supplies bag, they will come in handy for getaways. The LED curing light is set for a 60 second cycle but in my experience, two cycles when curing the base and each coat of the lacquer and three, for the top coat gives a harder, more complete cure. Yes, it takes a little more time, while my nails are being done but I don't have to worry about my polish being as soft/dentable after I'm done. Apply the lacquer in thin, smooth, deft coats and do not over work it or touch the nail with uncured lacquer on it to any surface. If you do, the gel polish will crinkle up and bake that way under the light. I over stroked the polish on one thumb and touched the other to a surface and had to redo those nails. Lesson learned! If, like me you are a bit of a sloppy polisher, have your cleanup brush and little dish of acetone at the ready. You must quickly do cleanup and any desired refining after each coat is applied to each nail while the lacquer is still wet. Once the gel has set on the nail, cleanup becomes difficult without ruining the surface and, after it's been cured under the light, it's pretty much impervious to acetone and you are stuck with any boo-boos. If a nail chips, the chip can be repaired. Gently file the edges of the chipped gel smooth and clean with a cotton pad with a little acetone. Apply a thin coat of the base/top coat, cook it for two cycles under the light. Repeat with the lacquer, two coats. Then the base/top coat, three cycles and clean with your cotton round and acetone and you're good. If you work carefully, the fix should be nearly invisible. At one point, I somehow peeled the gel off of about half of my right index nail and there was no hope for that one but to redo the nail, completely. As you can see, in the photo below, my application wasn't absolutely flawless but, I think that for my first time ever working with gel, it turned out pretty well. I like that the gel system offers a nice, smooth finish, even on my ridgey nails and it stands up pretty well to my daily routine of housework, showering, typing and so on. Overall, I find this kit easy and fun to use and I'm impressed at how long my manicure, with just a small hiccup or two lasted. I had to repair one chip and redo one nail in a three week wear trial. I wasn't mad at that, at all. Let's talk removal. I use a wood cuticle pusher and gently lift the gel around the edges then lever it up and off the surface of my nails. I don't suggest using your nails as tools for removal, this stuff doesn't lift off as easily as regular nail polish with a peel off base coat. 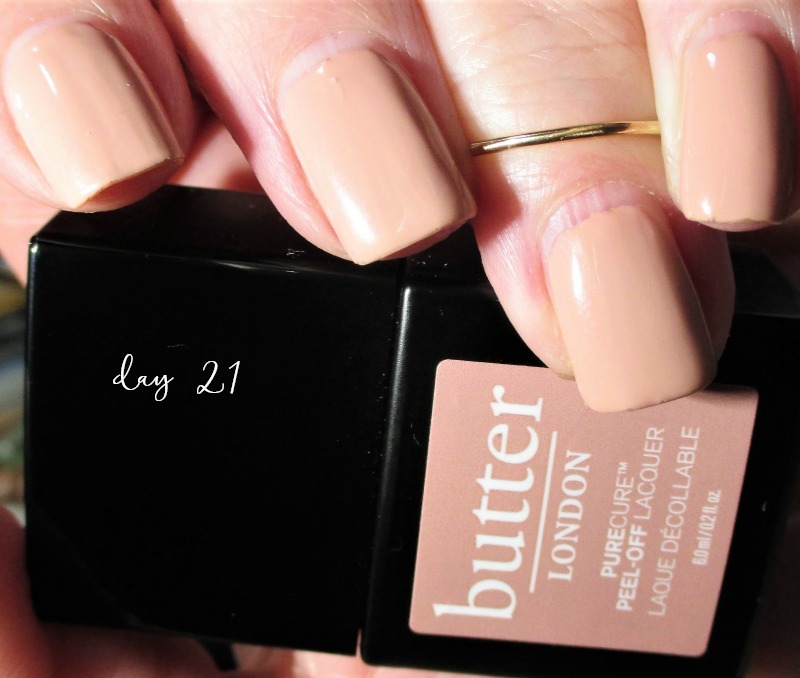 Okay, Butter London claims that there is no damage to the nails after removal. I would say that that claim needs to be amended to there is some surface damage, after removal. My nails experienced a good surface roughing up and only one shallow gouge (purely user error) in my left pinkie nail. After an ultra gentle buffing to smooth away most of the roughened surface and application of oil, my nails looked almost as good as new and felt only a little less strong than they normally do. I can live with that. Here are pictures to show the damage my nails sustained and how they looked, after a gentle smoothing and some oil. So. Do I love it? Or did I lose it? I kinda love it. 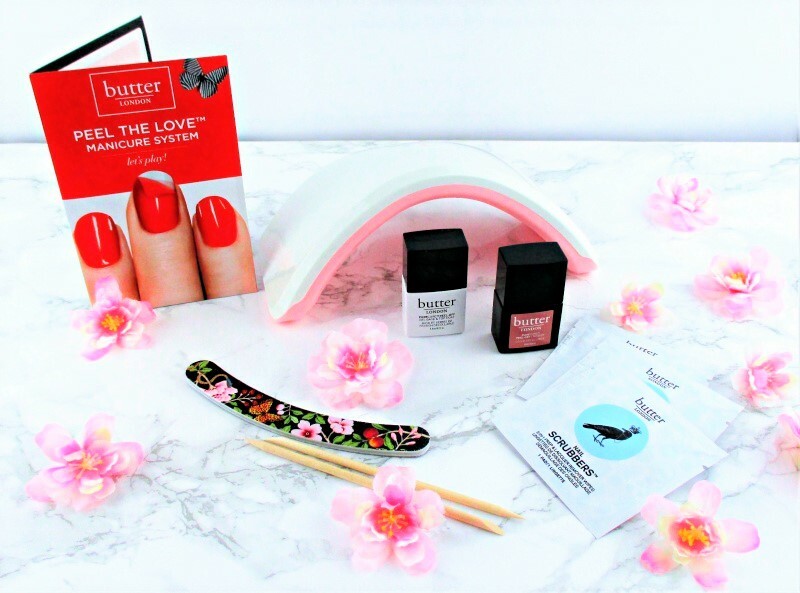 The Butter London PureCure™ Peel the Love Gel Manicure System is fun and easy to use. The gel manicure is shiny and pretty and the wear is pretty impressive; I got a solid three weeks out of my manicure with only a few minor hiccups. The manicure can chip but chips are repairable so if one happens, you don't have to remove the whole thing and start over. Full sized bottles of base/top coat and gel lacquer are available here. I have my eyeballs on a few shades I'd love to have on hand for when I'm in the mood for a nice, long lasting mani. What do you think? Do you like the look of this gel kit? Have you tried it? How does it work for you? Please, do tell. If you enjoyed this post, won't you give it a share? There are buttons to your left, above the main title and at the end of this post. It's interesting that they're doing a peel off kit, the removal is always what puts me off using gel. Any time I need gel for a nail art look, I use a glue base so it peels off easily, but there's no way that will last long. I do use gel for my pedicures all the time, though. 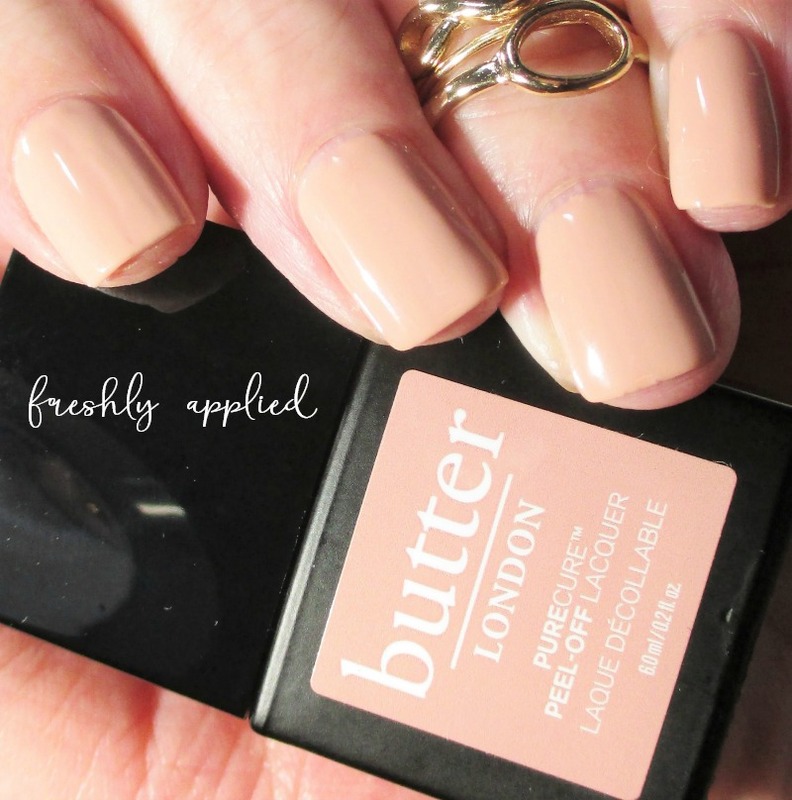 How interesting that Butter London made a peel kit! Glad to hear that you love it! Thank you for the in depth review. I've used a few different gel systems but never a peel off one. I've never done a gel manicure but I like that the kit comes with the nail dryer. When I travel I really need a long lasting manicure. It's interesting that you didn't have to soak it off since that's what weakens my nails. Great review! I love the neutral shade of it. I've only tried gels once on myself and after a week I had to change it - LOL! I just paint my nails too often for it to be of use, but when I go on vacations, it's my go to! Hmmm, I might need to try this! Honestly, that looks like WAY too much damage. I don’t do gel since I change my nails too often, but I wouldn’t even do this for a vacation. Thanks for the review! Since my nails are so thin I would definitely opt for normal soak off nails for this kit. I don't have much thickness to spare! 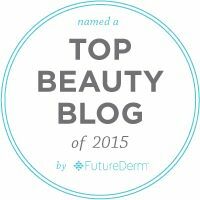 I was super interested in this post at the beginning because I had the same feeling about gel polish as you did. I'd love to do some on the intricate designs that gel allows but the removal process has held me back. 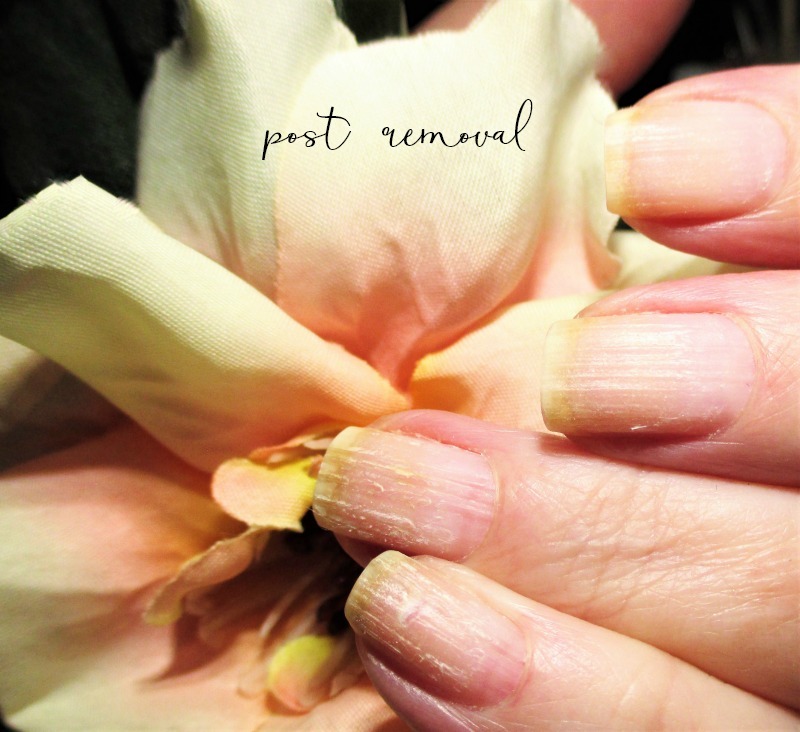 After reading through your post I have to say my interest is peeked but the damage your nails received however slight makes me hesitant to try it. There is definitely always damage when you peel off polish. Glad to see your honest review. I was curious how well this worked as I have been hesitant to jump into gels myself. After seeing the damage, I still think I'm going to stick with my traditional nail lacquers. I really appreciate your thorough and honest review! I love gel but I can't get behind the "peel off" trend. I have a soak off machine that heats my acetone and steams off the gel and I won't go to any other method! I kind of loved this, it wear so well and I think the only thing I would hope for it is that more color options would be available! I can for sure see how someone who wears gel nails would love this set. My nails are a little to delicate for myself to use it but based on your review I would for sure recommend it to friends who use gel polish! Fashion Flash | It's Almost Summer!